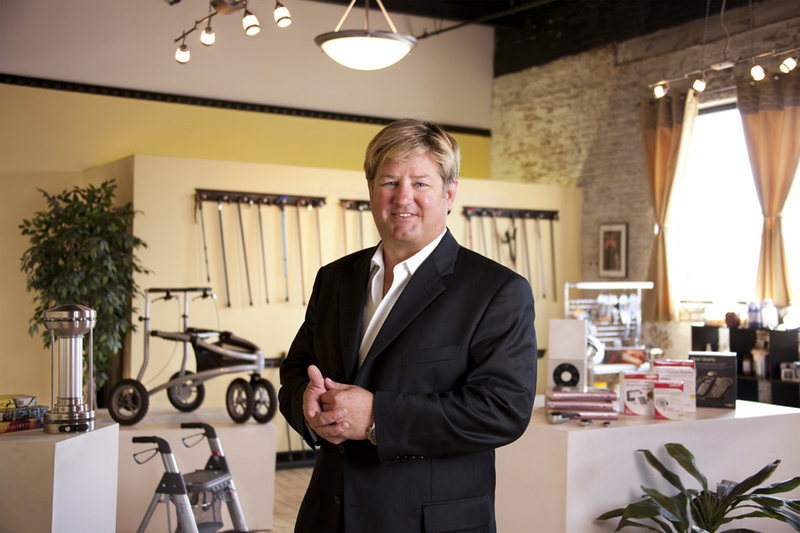 Patrick Conboy first glimpsed the future of ELDERLUXE® and his idea to Age Well© back during his later teen years, while delivering pharmaceuticals, walking canes, walkers and other aids to daily living & home medical equipment for a local pharmacy in his hometown of Palestine, Texas. Spending hours with those convalescing and rehabilitating taught him that age-related issues can hamper an otherwise happy senior adult lifestyle. Further, he soon recognized that those who remained most active in their personal daily activities tended to live a more vibrant, healthy and happy life as a result. He applied what he learned in those days to help his own parents as they aged, and ultimately dedicated his life to furthering his cause to Age Well© with his retail company, ELDERLUXE. Prior to creating the ELDERLUXE® enterprise, Mr. Conboy was Vice-President in the marketing and planning department during the turnaround of JCPenney 1999-2004 and prior to that he directed the advertising activities for a variety of clients while at Foote, Cone & Belding, Chicago. A graduate of the University of Notre Dame, Patrick enjoys coaching football, playing tennis and golf, upland bird hunting and creative cooking for his four children.